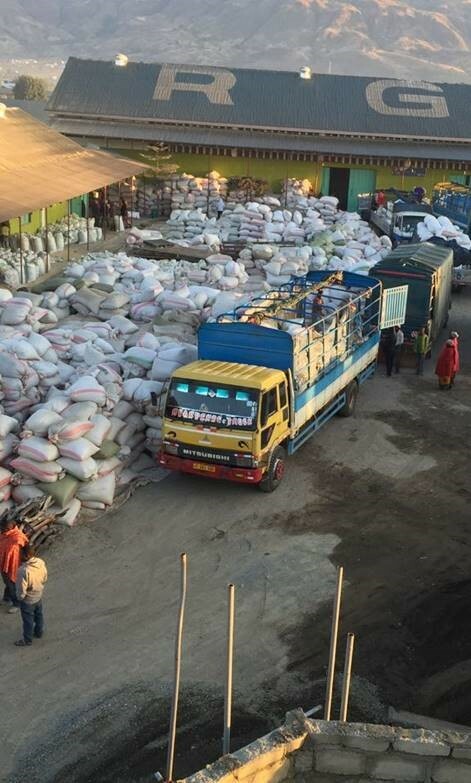 Fast and reliable delivery of medicine, basic food and water and other disaster relief in remote areas that have been impacted by a natural disaster is nearly impossible. Mostly, the road and telecom infrastructure is heavily damaged, which makes bridging the ‘last mile’ a big challenge for humanitarian aid organizations. Fortunately the solution is at hand, when parties unite and act together. The Wings for Aid Foundation aims at introducing solutions that enable fast mobilization and delivery of aid supplies to people in need. The Foundations leads a consortium, which consists among many others of Industrial design company VanBerlo and Delft University of Technology, for the development of an unmanned efficient cargo aircraft that is able to reach remote areas. During the flight, the cargo drone is able to precisely drop aid packages at exact locations to get it to people in need. The project includes many innovations, such as an advanced anti-collision auto-pilot system and bio-based cargo boxes that are able to drop in a controlled manner from a flying aircraft (without parachute) and absorb the large forces of ground impact. TechForce is part of the Wings for Aid consortium since 2015 and applies for subsidies to boost the realization of the complete technology roadmap. In addition, TechForce assists in developing business propositions and reporting to the project’s donors, mainly the Dutch Ministries of Defense and Economic Affairs (Kansen voor West). “The board has shown a shocking lack of safety awareness” was the judge’s response in 2012 during the aftermath of the Chemie-Pack disaster. This verdict uncovers a deeper underlying problem: low safety awareness among certain organizations regarding hazardous substances. The Dutch chemical industry is currently covered by Besluit risico’s zware ongevallen 2015 (BRZO) legislation, whereas government agencies maintain the law more strictly. But safety awareness cannot be improved by legislation alone. A consortium of 5 parties led by Risk Management Control BV addresses this problem. 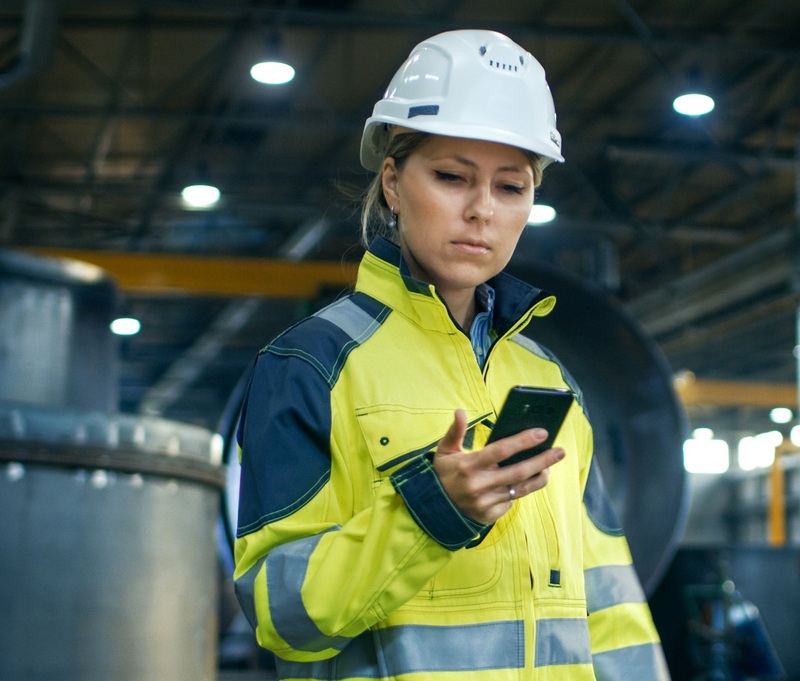 In a pilot project including interactive training in the employees’ own workplace, smart sensoring systems, mobile apps, and continuous monitoring, the safety awareness of staff in one of many chemical warehouses in the Botlek area is being improved. “This fun way of safety training is far more appealing than the usual boring periodic classroom trainings”, says one of the warehouse employees. TechForce enabled finance for this project, that aims to implement the new training method nationwide. Through frequent progress meetings, TechForce is also monitoring the technical and financial progress of the project. Within this project BMO Measurement Solutions BV, located in Delft, researches the feasibility of the development of a technical solution that is able to generate advice during helicopter landing-operations on moving objects at sea (ships, platforms). Currently ships have technology available that indicates either or not it is safe to land given actual circumstances. With the envisioned innovations it will be possible to bend a negative indication into a positive one by smartly using available ship and other environmental data. 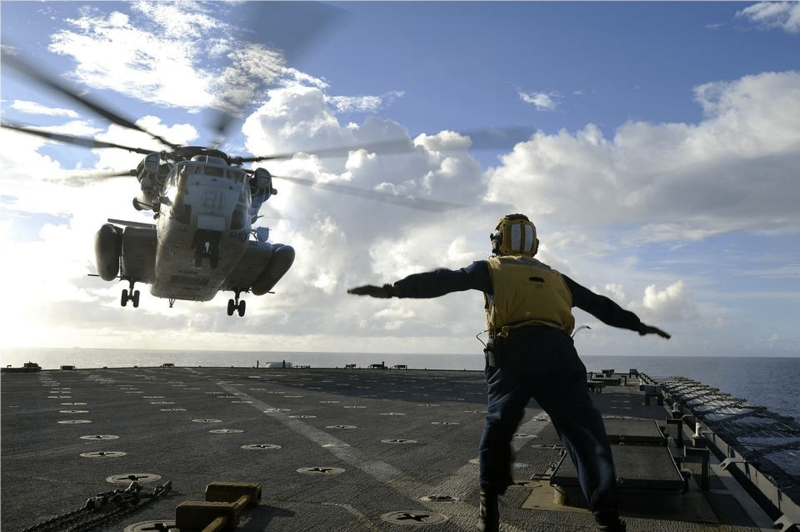 The new Helicopter Offshore Landing Advisor will enable pilots to land their helicopter easier and more safely, by actively offering real-time advise to the pilot, even in harsh conditions. TechForce has successfully applied for a MIT feasibility study subsidy. TechForce is also involved in the project and offers advice on commercial and financial feasibility of this innovative product development. Agronomic advice on good agricultural practices and weather information disseminated by radio. The information services enable farmers to make better decisions on enhancing their productivity and to increase yield, income, and access to market resulting in improved farmer-agribusiness connectivity. TechForce is the lead partner of SIKIA and responsible for overall project management of this public‐private partnership which further consists of Milan Innovincy, Kilimo Trust and Kadaster International. The project is financed by the Netherlands Space Office and AGRA. In Rwanda, the sugarcane industry is facing a multitude of challenges. 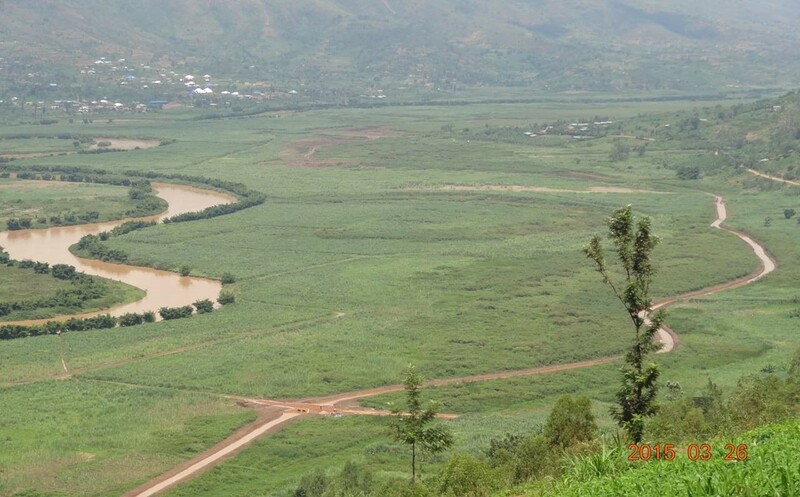 There is a shortage of suitable land available for sugarcane agriculture restricts production and yields are constrained by severe flooding of the Nyaborongo river and the stagnation of water on existing land, forcing Rwanda to import much of its sugar and leaving consumers highly dependent on volatile prices. With a growing population and increasing consumer expenditure, both domestically and regionally, Rwanda risks missing a crucial opportunity to grow a local industry with great potential. TechForce is the lead partner of this Public Private Partnership and responsible for overall project management of this public‐private partnership which further consists of Kabuye Sugar Works, Royal HaskoningDHV, Milan Innovincy, Karisimbi Business Partners, Wageningen University (Department of Environmental Sciences), Centre for Development Innovation (CDI) and the Ministry of Agriculture and Animal Resources of the Republic of Rwanda. The project is financed by the Dutch Facility for Food Security and Entrepreneurship (FDOV) as well as by Kabuye Sugar Works. The PPP develops and implements intervention strategies on water management, precision agriculture, capacity development and organization of smallholder farmers. This project won the award for ‘Best Public-Private-Partnership Award 2014’, presented by The Partnership Verkiezing which is an initiative of the Dutch Ministry of Foreign Affairs, Dutch development bank FMO and social enterprise The Punchy Pack. The agricultural sector in the North West and Gauteng Province in South Africa is suffering from contaminated water due to excessive mining. Especially poultry farmers are affected by the contaminated water supplies which is causing serious health, environmental and socio-economic problems. 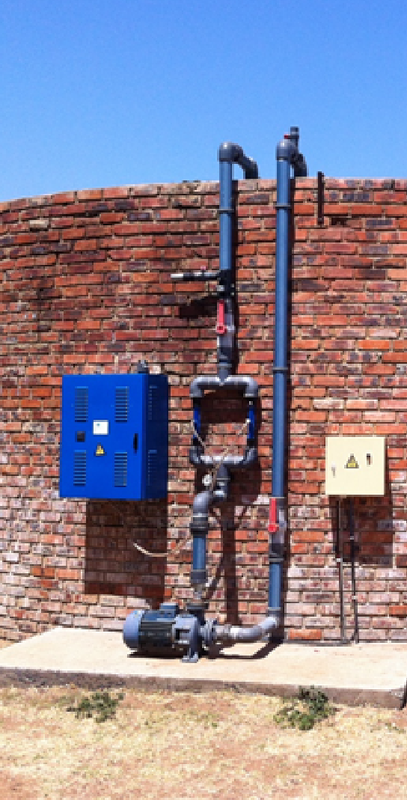 This project aims at demonstrating a complete solution for a cost-efficient, easy to install (plug and play) water filtration system that is able to effectively filter biological and chemical contaminants in waste water while retaining sufficient essential minerals. By using the water filtration system, farmers gain access to clean water which can be used for poultry. The project is implemented by Broadfield Security Services Holland (BSS), NRO Fusion and Alterra – Wageningen UR. TechForce has assisted in the entire process leading up to an application by advising in developing the project idea, writing the project proposal and submitting the application under the Partners for Water Program. TechForce is responsible for the project administration and reporting to the Dutch government on the progress and results of the project. The island of Gn. Fuvahmulah, an atoll type of coral island is one of the most southern islands of the Maldives. It is a single reef-top island, formed on a raised oceanic atoll and is the third largest island in the Maldives. This rare combination means that Fuvahmulah is unique in the Maldives and supports a diverse range of habitats including tropical woodlands and wetlands, freshwater lakes, large areas of well-vegetated marshland with fertile soils and coralline sandy beaches. The coast of Fuvahmulah is not protected by a large coastal reef flat where incoming waves are breaking. As a result, the coast of Fuvahmulah is heavily exposed to swell waves and is experiencing severe erosion and flooding problems. 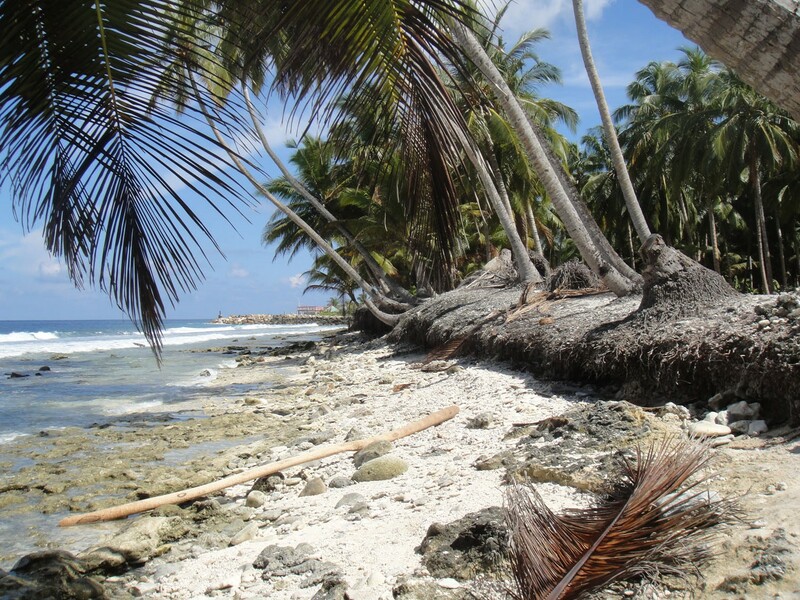 The project aims to introduce solutions to ensure significant increased coastal protection at Fuvahmulah. The consortium is focusing on locations where the urgency is largest and where relatively limited measures can have a significant impact on the local protection against flooding due to possible sea level rise and the ongoing erosion. TechForce has successfully applied for funding under the Dutch ORIO scheme for the funding of this project (100% in the development phase and 50% in the implementation phase). In addition, TechForce is responsible for project structuring and development; writing and submitting detailed project plans; communication with project donor; developing a financing plan (including acceptable financing options for subsequent phases of the project); calculating financial analyses of the project. The Island of Bhola, situated in the delta of the Lower Megnha in Southern Bangladesh, is the largest island in Bangladesh, and has over 1.6 million inhabitants. 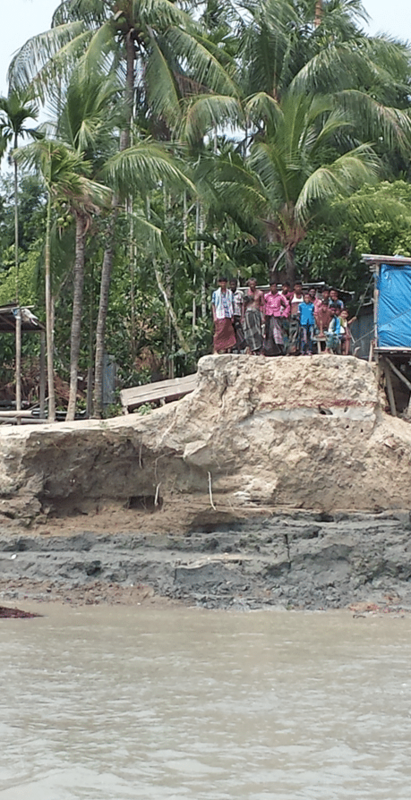 The greatest challenge at Bhola is severe river erosion, leading to an annual loss of 500-1000 hectares of land, homestead and livelihood of many families as well as loss of associated water management infrastructure. Subsequent effects of loss of infrastructure are regular flooding, inundation and saltation. The project aims to substantially increase safety and security for the Bhola community by improving the water management infrastructure. The project partners work on the development of a design for construction and implementation of a complete water management rehabilitation infrastructure for Bhola amounting in total to approximately EUR 50 million. TechForce has successfully applied for funding under the Dutch ORIO scheme for the funding of this project (100% in the development phase and 50% in the implementation phase). In addition, we assist in overall project coordination between project partners, funding agencies and stakeholders.